Over the last few years the technologies employed in the production of dry pasta and semolina have changed dramatically. This highly practical book examines these changes and gives commercially relevant information to the reader in the areas of durum wheat, semolina production, pasta mixing and extrusion, shape design and quality assurance. 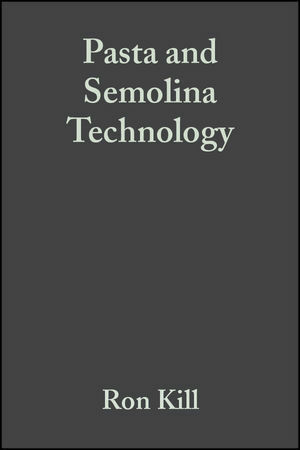 Written principally for food technologists working with pasta as an end product or as an ingredient, this book is also an essential reference source for academic, research and teaching institutions. Ron Kill is Managing Director, Micron Laboratories Ltd, UK. Chapter 1. Introduction (R.C. Kill). Chapter 2. Durum Wheat (G. Wiseman). Chapter 3. Advances in Durum Milling. Chapter 4. Pasta Mixing and Extrusion (P.R. Dawe). Chapter 5. Pasta Shape Design (P.R. Dawe). Chapter 7. Additional Ingredients (R.C. Kill). Chapter 8. Quality Assurance in a Dry Pasta Factory (K. Turnbull).